Dengan menginap di Long Lane Homestay Bali di kota Ubud, Anda berada hanya 5 menit dengan berkendara dari Pasar Seni Tradisional Ubud dan Puri Agung Ubud. 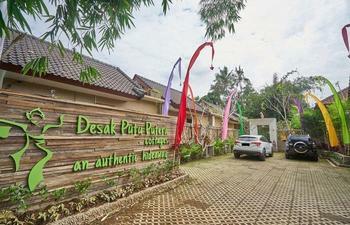 Bed & breakfast ini berada 4,4 mi (7,1 km) dari Ubud Monkey Forest dan 3,2 mi (5,2 km) dari Campuhan Ridge Walk. Ketahui Sebelum Anda Pergi Properti ini menawarkan transportasi dari bandara (dapat dikenakan biaya tambahan). Tamu harus menghubungi properti dengan detail kedatangan sebelum perjalanan, melalui informasi kontak pada konfirmasi pemesanan. Tamu dapat merencanakan membawa hewan peliharaan dengan menghubungi properti secara langsung, dengan menggunakan informasi kontak pada konfirmasi pemesanan. Biaya Biaya dan deposit berikut mungkin ditagihkan oleh properti saat memberikan layanan, check-in, atau check-out. Biaya antar jemput bandara: IDR 400000 per kendaraan (pulang pergi) Daftar di atas mungkin tidak lengkap. Biaya dan deposit mungkin belum mencakup pajak dan dapat berubah tanpa pemberitahuan sebelumnya. Stayed there for 3 days 2 nights. 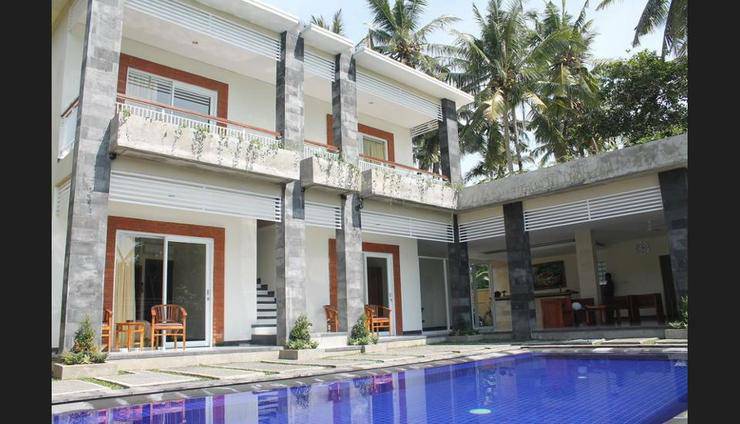 The villa is about 15-20 minutes away from Ubud Sentral, depending on the traffic situation. Rent a bike or make sure you have a driver to bring you around. Villa was a little hard to find, initially. 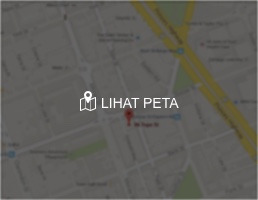 Please contact Pak Gusti for directions before making your way there. The villa has an open concept. 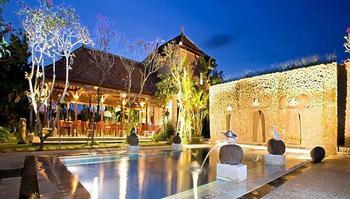 Has 4 bedrooms and a lovely clean pool facing the paddy field. The rooms and toilets are clean, just like a hotel. Service was excellent, with Pak Gusti visiting us every day; morning, late afternoon and before everyone heads to bed. Healthy breakfast were prepared everyday and you may order lunch or dinner from Pak Gusti too. We were taken care of pretty well. All in all, my friends and I love the stay. It was so calming and enjoyable staying. I would come back if I ever visit Ubud again. 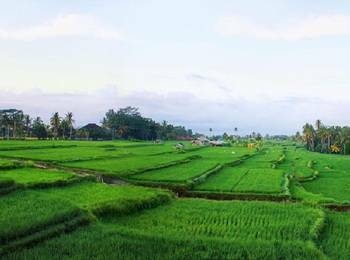 Set on the rural outskirts of Ubud, overlooking fields of rice with mountains in the distance, this little 4 bedroom 'homestay' is a perfect tropical getaway for a small group or family. 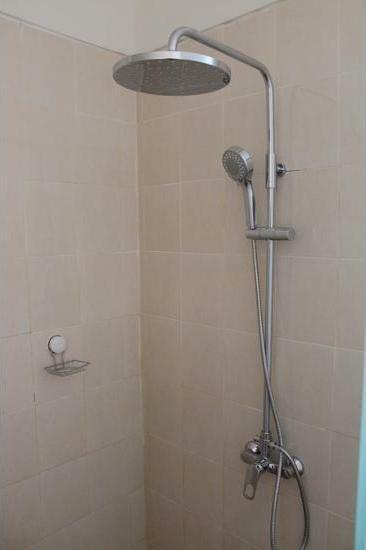 The rooms are clean and uncluttered, all with en suite shower and toilet, A/C and free WiFi, and all overlook the swimming pool. A common open-sided lounge/dining area also overlooks the pool. An excellent breakfast was included, cooked to your liking on the premises. To get up early to enjoy the cool morning air and a good book (or the free WiFi), then have someone unexpectedly bring a steaming pot of fresh Bali coffee ... marvellous! Air-conditioned transport to Ubud shops, restaurants, spas and anywhere else on Bali, including airport transfers, is readily available - the friendly manager, Jai, is also the driver. It is a wonderful place to stay in if you enjoy serenity and rural life. 😊 The paddy field is just beside the homestay. It's windy in the night and we could just sleep without switching on the air -cond. The owner and his family members are also very friendly and keen to help us. There is free shuttle car to and fro the Ubud centre. He would recommend us the tasty local dishes and also the places to visit. Breakfast are served every morning. The facilities are great .We could even enjoy Balinese full body massage in our room. 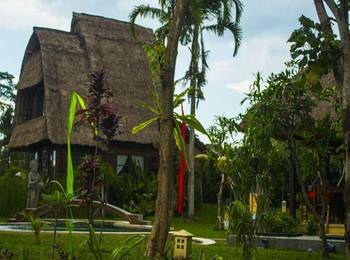 1) located among the nature & padi field, 2) friendly & helpful staff, 3 breakfast Our stay was good at this villa and the staff are incredible. It's quick and easy to get into town, I have no complaints about this place, it's perfect!